Beavers, polar bears, geese and moose are among a few of the more common animals living in Canada. Beavers are semi-aquatic mammals that are important in Canada's history. 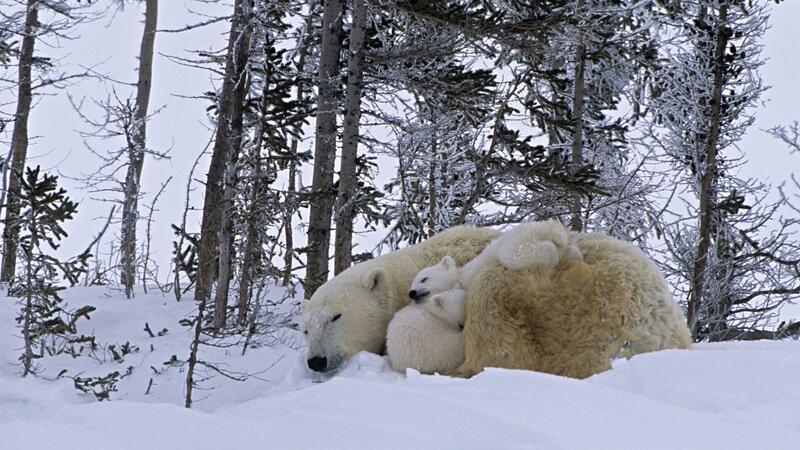 Polar bears are a vulnerable species living in Canada's far north. Approximately 200 mammal species live in Canada. The Canadian lynx is one of the most elusive animals residing in Canada. Weighing 20 pounds and standing 20 inches tall, the lynx preys upon squirrels, rabbits and grouse within the northern woods of Canada. Whitetail deer can be found living among the lynx, along with caribou and elk. Many moose live southeast of Canada's northern woods. Moose can weigh in at over 1,000 pounds and sport enormous antlers. Both grizzly and black bears are present in British Columbia, Canada, with black bears being the more prevalent. Canada's wolf packs live primarily in the Yukon. Wolves hunt in packs and are not afraid of preying on game larger than themselves, such as Canada's bison, which can weigh over 2 tons. Some of the smaller mammal species in Canada include raccoons, voles, moles, rabbits, red fox and bats. Wolverines are ferocious predators that prey upon many of these smaller mammals in Canada. Rodents such as pocket gophers and dusty-footed wood rats are also common prey for the wolverine.